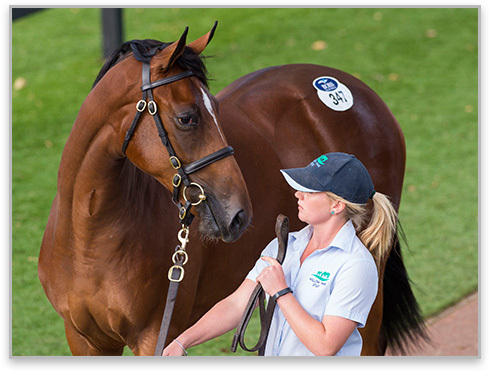 Racing NSW BOBS (Breeder Owner Bonus Scheme) rewards owners who invest in NSW bloodstock. BOBS bonuses are paid out on racetracks all around NSW, adding a payment of up to $20,000 for each win as a two-year-old and three-year-old. Last season, over $13 million was paid out in cash bonuses and Double-Up vouchers, bringing the total since the scheme’s inception to over $129 million. To be eligible for BOBS, a horse must be sired by a BOBS eligible stallion and nominated for the scheme. A high percentage of yearlings sold around Australasia are BOBS eligible, including over 50% of the Inglis Premier Sale in Melbourne, over 50% of Magic Millions Gold Coast, Adelaide Sales, and New Zealand Bloodstock Premier Yearling Sale. In a sale catalogue, BOBS horses can be identified by the Breeders’ Scheme index in the front, or by checking for a BOBS logo on the pedigree page of the yearling. Owners are required to nominate their horse for BOBS before the 1st of September of its 2YO year. Late nominations may be made after September 1, for a late fee. A horse cannot be nominated for BOBS once it has turned 3YO. Owners can also opt to nominate for BOBS Extra which extends BOBS bonus payments to 4YO racehorses over a staying distance of 1800m and beyond. Late nominations are not accepted for BOBS Extra. BOBS & BOBS Extra Racehorse Nominations for 2019 will close on Friday, 1st September 2019 for horses foaled in 2017 that turn two on 1st August 2019. 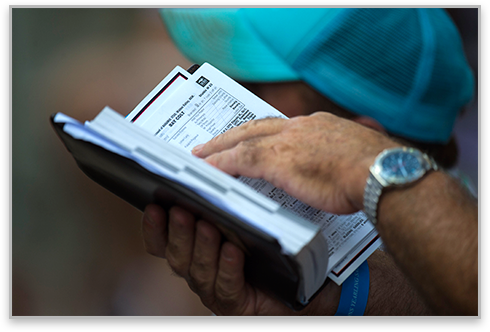 A winning owner can choose to take the winning cash bonus, or elect to take a Double-Up Voucher and earn twice the value by reinvesting the money in a BOBS eligible yearling or 2YO sold at public auction. BOBS Double-Up vouchers can be used to pay for an entire horse or a share in a syndicated BOBS horse purchased through an Australasian sale ring. The Voucher can also be used at a 2YO sale so long as the horse is BOBS-eligible and unraced, and at a Ready To Run Sale if the horse is BOBS-eligible, unraced and was not purchased originally through the use of a Double-Up voucher. Double-Up vouchers can also be used to pay for service fees to participating NSW based stallions.